A US F-15 fighter jet crashed off the southern coast of Japan on Monday but the pilot ejected and was rescued by Japanese forces, Tokyo’s defence minister said. 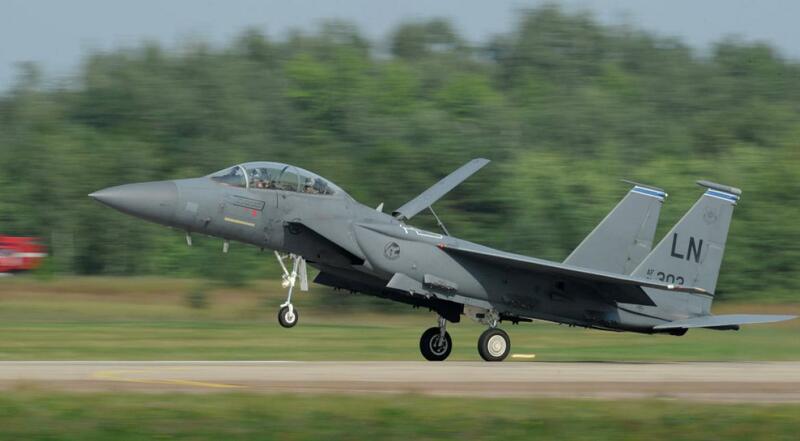 The Japanese military “received information that a crew member of the F-15 jet, which belongs to the Kadena Air Base, ejected above the sea some 50 miles (80 kilometres) south of” Naha, the regional capital of Japan’s southern Okinawa island, Itsunori Onodera told reporters. About an hour after receiving the initial information, Japanese military officials spotted and rescued the pilot who sustained “non-life-threatening” injuries, Onodera said. Japan’s public broadcaster NHK said the rescued pilot had a broken leg. The US military is investigating the cause of the latest accident “but I’ve requested they share information with us and that they take firm safety measures to prevent a repeat,” Onodera said.